Barcelona is Gaudí's city: he produced some of his greatest masterpieces there which we will discover one by one and be amazed by their charm. The first stop on our excursion is the Sagrada Familia, the iconic symbol of the city of Barcelona, a destination for visitors from all over the world, believed by many to be one of the most extraordinary man-made monuments in the world. It is a majestic Neo-Gothic church inspired by the great medieval cathedrals and built in a Modernist style: the Catalan version of Art Nouveau. It was the work of talented architect Antoni Gaudí, who designed it at the age of just 30 and dedicated the rest of his life to completing it. Work began on the church in 1882 and is still ongoing, following the designer's plans. This will make our visit even more fascinating as we will witness the creation of one of the greatest architectural masterpieces in the world. 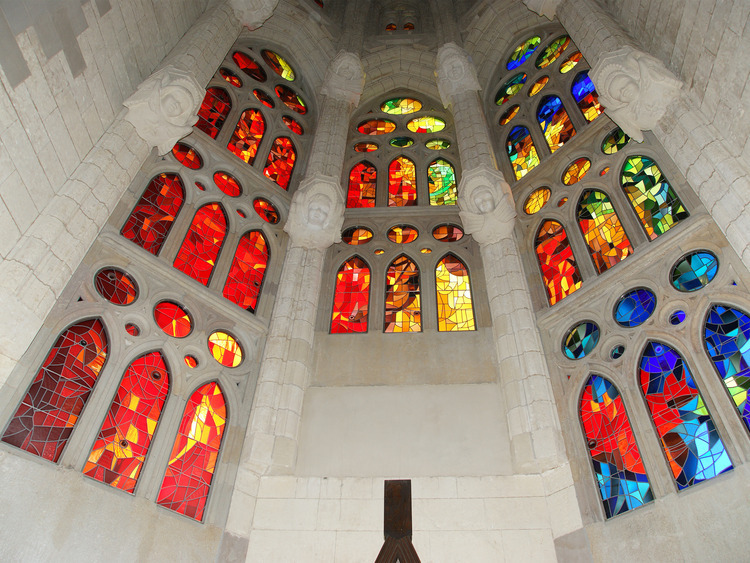 Our guide will show us two of the façades that have already been completed: the Nativity façade and the Passion façade. Then we will enter the church where expert artisans are working on this constantly evolving monument. Then we will continue on towards Passeig de Gràcia, the most fashionable avenue in the city with its charming, modern buildings like Casa Batllò, another of skilful Gaudí's masterpieces. Much more than just a building, Casa Batllò holds an entire world of contemporary art, architecture and design, offering visitors a unique, surreal experience. The extravagant inventiveness of the shapes is inspired by the legend of Saint George (the patron saint of Catalonia) who fought the dragon, alluded to in the multi-coloured sinuosity of the roof, while the rows of balconies and bone-like structures symbolise the victims. We will end our tour admiring Casa Milà, better known as La Pedrera (tour of the exterior), Gaudí's last work. The building is a true triumph of curved lines with undulating faces, chimneys that coil around one another and the magnificent wrought iron railings resembling breaking waves. Guests are not allowed to stay on the bus during the stops. The way from the parking lot to the venue of Sagrada Familia is approximately 15 minutes of walking.